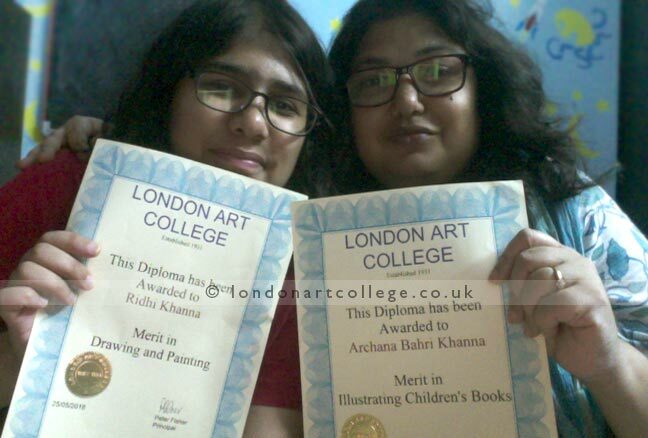 We were absolutely delighted to receive these photos from Ridhi and her mum Archana Bahri Khanna with their certificates. 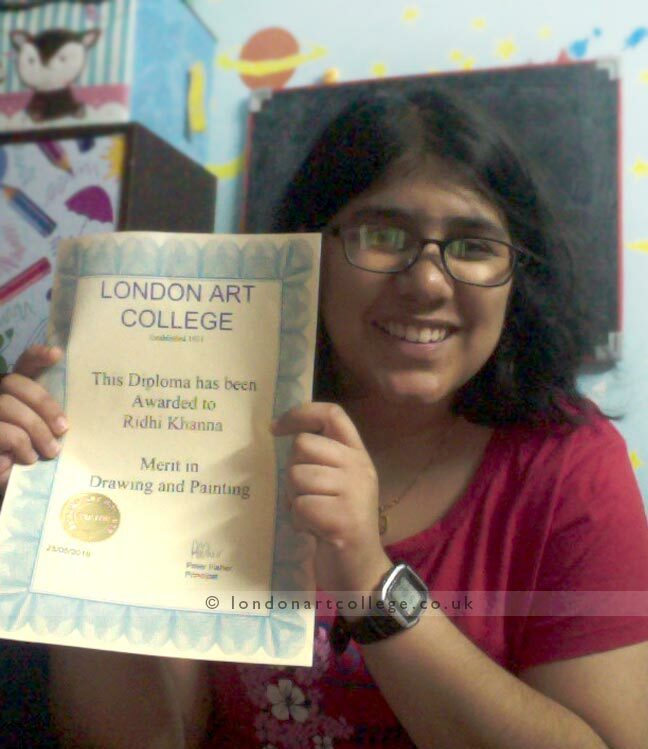 Ridhi has just completed her diploma in Drawing and Painting, and her mum completed the Illustrating Children’s Books Diploma a few months prior. We would like to officially thank them for having their photos taken and allowing us to show them on our blog. We wish them the best of luck with their future illustrations, paintings and drawings! I have received my Merit diploma by Airmail. 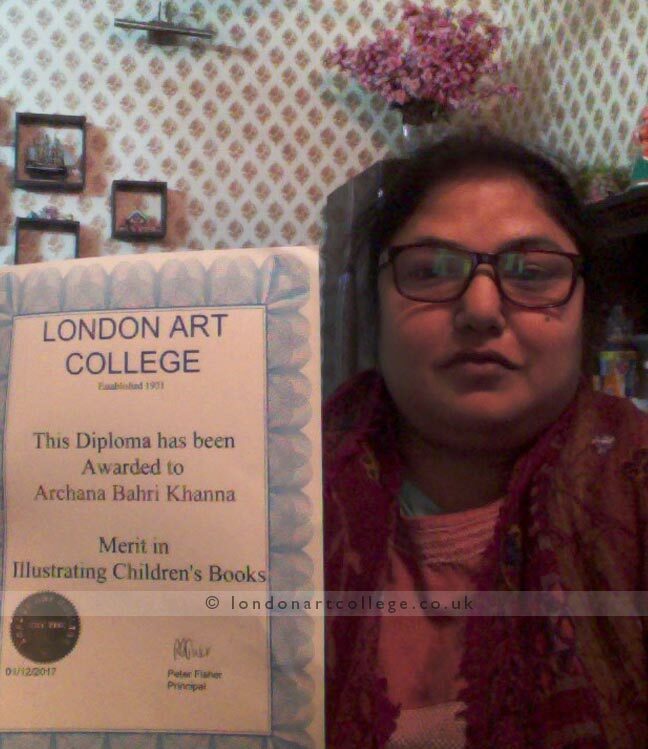 I am happy to complete my Drawing & Painting Diploma from London Art College. Thank you for your support throughout my course. I have attached images, one being me with the diploma and the other being one with my mom and myself with our respective diplomas and another with my mom and her diploma from the London Art College.